Make Power-over-Ethernet-capable Gigabit network connections. The N6PATCH7BK Cat 6 Patch Cable (7 ft) meets or exceeds all Category 6 cable specifications to ensure reliable Gigabit network connections, and features a durable black PVC jacket that enables you to color code your network cable runs as needed.To ensure long-lasting performance, this high quality Cat 6 patch cable features a snagless design that protects the RJ45 connector clips from damage and makes the cable less prone to snagging during installation. 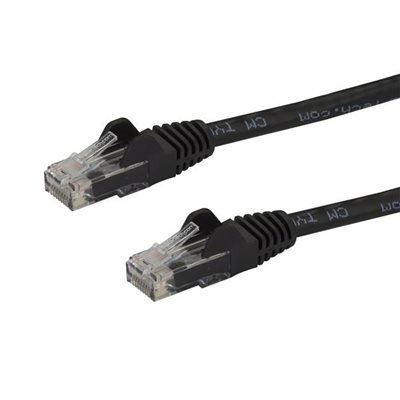 The cable also features molded PVC strain relief that prevents the RJ45 connector termination points from bending at sharp angles - reducing the risk of cable damage, which could decrease network performance.